Greenwich, CT (Jan. 25, 2019) – Greenwich Hospital announced today that Karen Santucci, MD, section chief, Pediatric Emergency Medicine Yale New Haven Children’s Hospital will be honored at the annual Under the Stars event on Friday, May 17 at Riverside Yacht Club. Dr. Santucci is among the cadre of pediatric emergency medicine specialists now working at Greenwich Hospital. More than 500 guests from Fairfield and Westchester counties are expected to attend this year’s festivities. Further details will be released in the coming months about the exciting musical artist who will perform at the event. In addition to the music, Under the Stars will feature a live and silent auction, a high-end wine and liquor auction, and a seated dinner service with an open bar for all guests. Co-chairs Katie Fong Biglin, Andrea Sinkin Jaffe and Jennifer Turano, along with a committee of dedicated volunteers, are planning this celebratory evening of music to benefit Pediatrics and Women’s Health at Greenwich Hospital. Everything a child could need from a top-ranked children’s hospital is now in Greenwich. Yale New Haven Children’s Hospital physicians provide 24/7 emergency services and onsite inpatient care for children at Greenwich Hospital. Additionally, the Yale New Haven Children’s Hospital Pediatric Specialty Center, conveniently located at 500 West Putnam Avenue in Greenwich offers expert care in nationally ranked specialties including allergy/immunology, endocrinology, gastroenterology, hematology, hepatology, nephrology, neurology, oncology, pediatric and adolescent gynecology, respiratory, rheumatology, surgery and urology. Greenwich Hospital is also home to a Level III-B Neonatal Intensive Care Unit (NICU) for sick or premature newborns. Women’s health services include maternity, gynecology and heart and vascular services, as well as specialized services in the Breast Center and Fertility Center. 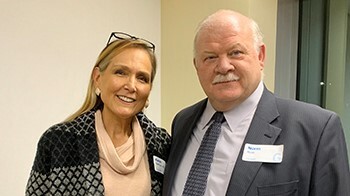 Patrons and supporters of Under the Stars help secure Greenwich Hospital’s position as the region’s leading medical center and healthcare provider with technologically advanced, precise, subspecialty care. For more information about sponsorship and tickets, contact Stephanie Dunn Ashley, director of Special Events, at (203) 863-3865 or email Events@GreenwichHospital.org. Additional information can also be found here: https://giving.greenhosp.org/event/uts2019.